Jawaharlal Neheru while announcing the formation of a united Andhra Pradesh had said on the Telangana issue, “an innocent girl called Telangana is being married to a naughty boy called Andhra. It is of their choice to continue or to get separated. Today the people of Telangana say that the time has come and the innocent girl can no longer stay married to the naughty boy. Several protagonists of the movement say that it is high time the state is given back to them. Dr Srinivas Raj, one of the protagonists of the Telangana movement has prepared a ready reckoner on the issue. He along with several others have been distributing this booklet among the people of Telangana and convincing the people as to why this movement is important and how their lives would change once their state is given back to them. In this interview with rediff.com, Dr Raj gives very interesting about the movement. He also goes into length about the backroom politics that is being played in trying to curb this movement. Would you like to give us a brief introduction to the entire movement called Telangana? We talk of Jalianwala Bagh with such great interest. No one wants to even think of the massacre that had taken place in Telangana at the time the Nizam was ruling us. The Hyderabad state was under the Nizam and Urdu was the official language at that time. Right from that period of time, the people of Telangana were being suppressed. The Nizam’s army butchered the people of Telangana who sought for their rights and there were at least 6 Jalianwala Bhaghs at that point of time. The problem is that we continue to get suppressed even today and that is why we feel that a separate state is required. Between 1948 and 1956 Telangana was a separate state. Hyderabad had several industries including two airports. There was a lot of concentration on the Telangana region and this area has a lot of infrastructure. The Time Magazine had in 1937 featured V Usman Ali Khan as the wealthiest man in the world. This only speaks of the wealth that there was in this region. Once Andhra and Rayalseema came out of the Madras presidency, the people of those regions thought that it would be best to merge Telangana with their regions. Our Assembly building, the High court building were all from the Nizam’s period. Moreover in 1909 M Visveswaraya, the father of engineering had constructed an underground drainage system in Hyderabad which is being used till date. 69 per cent of the Krishna catchment area is in Telangana region. The revenues that were being generated out of the Telangana region were good too when compared to Andhra and Rayalseema. The very fact that Dr B R Ambedkar had said that Hyderabad should be made the second capital of India speaks volumes about the region. 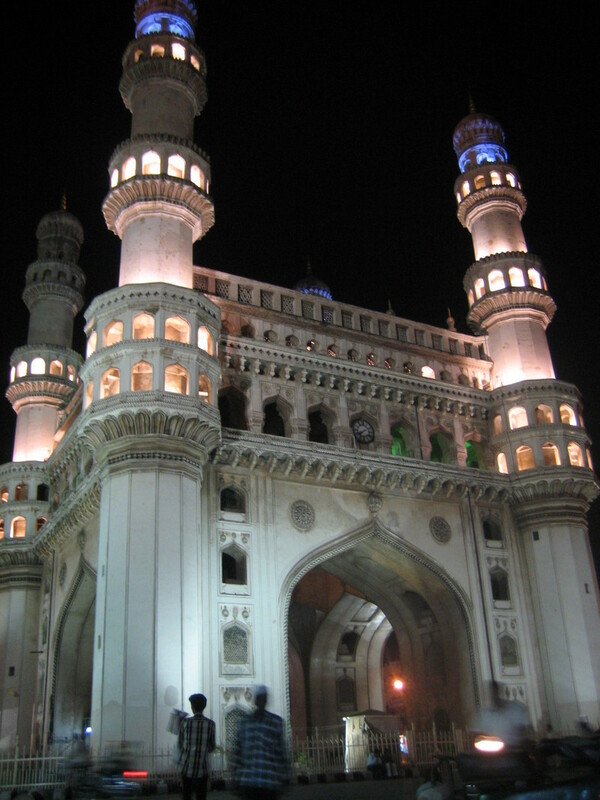 Moreover Hyderabad is a connecting point between North and South India. They wanted ready made infrastructure which was in abundance in Telangana and hence they managed to pressurize the government of India to consider their decision. Were there promises broken when the Union Government merged Telangana? Yes the very first promise that was broken was regarding the name of the state. The union government had promised us that the state would be known as the Andhra Telangana state. However overnight the leaders from the Andhra and Rayalseema regions managed to convince the union government to change the name to Andhra Pradesh. This was the first of the promises to be broken. After that the leaders of the two other regions worked consistently to make Telangana a backward region. Another instance of a broken promise is the fact that the Shriram Sagar water project in Nizamabad is lying in the cold storage since the past 40 years. What is the main justification for seeking a separate state? Do you really think that things would improve? It is absolutely important that we be given a separate state. Our accent and our culture is different. Our style is very Deccan and we use a lot of Urdu when we speak. We have a mixture of Northern and Southern style. We even celebrate Holi. We have every reason to demand for a state. To be honest, if Telangana is carved out it would be bigger than 100 countries in the world and larger than 18 different states in the country. Once Telangana is carved out it will be 1,14,800 square kilometers. What we fail to understand is that how did the Government manage to bypass all of you and merge Telangana? We concentrated more on development and not politics. The simple fact is that we did not have access to the central leadership like the way the leaders of Andhra and Rayalseema had. How do the people of Telangana region look at the people of the rest of Andhra Pradesh? The question should be the other way around. Since day one, we have been treated like second rated citizens. Depriving us of development is one issue, but the fact that everyone makes fun of us is also an important point over here. Take the film industry for instance. There are no cinema heroes from our region. Moreover what hurts the most is that the language spoken by the people of Telangana is always attributed to a joker or a villain in the movie. There has been terrible violence due to this issue. Would you want to justify that? The violence is not half of what the media has been projecting. I have statistics to support my view. In the Telangana region, the Andhra Pradesh Road Transport Corporation faced a loss of Rs 7 crore due to the protests. This was mainly because the services were shut down and also due to incidents of stone pelting. Whereas in Andhra and Rayalseema the losses were to the tune of Rs 70 crore and this was largely because buses were being burnt. The BSNL too had said that at the Shrikrishna Devaraya university at Rayalseema, students had burnt its optic fibres which resulted in a loss of Rs 2 crore. There was also an incident in which supporters of J C Divaker Reddy in Rayalseema had bombed a railway station.causing a loss of Rs 10 crore. Now it is clear that the people of Telangana have not been protesting in these regions. I can say with gurantee that we have only protested in a democratic manner. All these statistics have never been reported by the media since 95 per cent of the media is being controlled by barons from the Andhra and Rayalseema belts. The media too has been asked to project only incidents taking place in the Rayalseema region. Please understand this is a demand by us for the past 50 years, it is not something that has happened overnight. What is your view on the flip flop by political parties in Andhra Pradesh? Both the Telegu Desam Party and the Praja Rajyam Party had said that they would support the bill if it is introduced. Till the 2009 elections, the TDP was against Telangana, but at the time of the polls they joined hands with the TRS since it felt that the demand was very strong. Today due to pressure from the other regions, they are back tracking. There was also this issue when many legislators raised a point saying that the union government had acted in haste by announcing the formation of a separate state during midnight. I would like to ask them whether they had a problem when India got independence at mid night. This issue has scared off investors. Aren’t you worried that prices will drop and the economy will suffer. The people of Andhra and Rayalseema have purchased lands from the poor people of Telangana at throw away prices. Over the years they have inflated the prices by 100 times. These persons are worried. There is also the middle class which has invested in land in the Telangana region. I would say for a fact that the prices would drop by half once Telangana is formed. However this is temporary. Once the state is formed and the Telangana government invites investors, the real estate would be back to normal. Finally, there is a murmur that Jagan Reddy could be behind all this in a bid to overthrow Rosaiah. What is your take on this? (Laughs), He is very much behind the scene or at least was behind it. He did try and overthrow Rosaiah by escalating the tension. However things went out of control when the movement went into the hands of the Telangana people. He is now in soup since there is pressure from the people of his belt. He is now trying to paint a different picture to come out of the soup. A Joint Action Committee formed to address the Telangana issue decided on Wednesday night not to resort to bundhs, which affect public life. The meeting headed by Telangana Rastriya Samithi Chief K Chandrashekhar Rao also decided to keep the agitation peaceful. A TRS leader, who was part of the meeting that had leaders from all the parties belonging to the Telangana region, told rediff.com that they would continue to step up the pressure but would never resort to violence. The meeting, which just concluded, also decided that there would be dharnas held in the entire Telangana region, but they would all be peaceful. The meeting also revealed its displeasure over the delay tactics being adopted by the Union home ministry. At the meeting it was decided that they would hold dharnas and protest meetings only to keep reminding the government that their voice regarding the issue has not been lowered. The meeting also decided to adopt a ‘wait and watch’ policy. “We will wait till January 5 to see what result the meeting of the home minister would yield,” he said. Several prominent leaders of the Telangana region including former home minister of Andhra Pradesh Jana Reddy were also present at the meeting. The Telangana Rashtra Samiti, which has spearheaded the movement for a separate state in Andhra Pradesh, is furious over the Centre’s apparent backtracking over the issue. In an interview with rediff.com’s Vicky Nanjappa, TRS general secretary Subhash Reddy states that the party is willing to give the government some time to resolve the issue, but will rest only after they “get their state back”. What is the next course of action regarding the Telangana issue? They (the Centre) want a consensus and we will do our best to give them one. We have convened a meeting of the Joint Action Committee. We will discuss this issue with various people and decide on the next course of action. What will be the main focus of your discussion? Fixing a time frame (to resolve the issue). It is important that the government tells us clearly by what time they will return Telangana to us. How long are you ready to wait for a separate state? The government will get a maximum of five to six weeks to start the process. The TRS will ask the government to commence the process in the next session of Parliament. We want them to discuss this matter seriously and not take us for a ride. The process has to start by then and there should be no flip-flop after that. By the time the next session of Parliament is convened, the government should have an action plan on the issue. Both the state and the Union government have declared that there can be no Telangana without a consensus on the issue. See, consensus is not the issue here at all. The state has been taken away from us and it should be returned. The voice of the people needs to be heard and everyone in the Telangana region wants their state back. Why isn’t anyone taking that into consideration? Let the government appoint some educated people or form a committee under a Supreme Court judge and find out what the people want. In a democracy, the opinion of the people should be considered, not the opinion of the political parties. Why do you think the political parties are creating a fuss over this issue? The Telugu Desam Party chief (N Chandrababu Naidu) belongs to Andhra, (Praja Rajyam chief) Chiranjeevi belongs to coastal Andhra. Though the Congress chief (D Srinivas) belongs to Telangana, a majority of the party’s leaders seem to be opposed to it. It is sad that all these people are more concerned about their next political battle rather than the development of Telangana and the aspirations of the local people. How do you think Chief Minister K Rosaiah handled the situation? Very poorly. But that was expected since he belongs to coastal Andhra. What is your take on the demand to make Hyderabad a Union territory? This is not acceptable at all. How can an integral part of Telangana be shared or taken away? We will never accept this at any cost. Just give us our state back and end the matter. Incidents of violence have repeatedly marred protests and agitations on this issue. Our chief K Chandrasekhara Rao has said that there shall be no violence. What can we do if some politicians are stage-managing or sponsoring it? On Wednesday, when the home minister (P Chidambaram) made the statement (that the situation had altered and political parties are divided on Telangana), we had decided to protest peacefully. But then so many people came out on the roads and started protesting; all this was stage-managed to show the country that we are making a demand through violent means. Our people did come out on the roads and protest in a peaceful manner, but then some anti-social elements joined in. Why did the government turn a blind eye when we were seeking Telangana through peaceful means? We will continue to protest in a peaceful manner, but will not settle for anything less than a separate state. Do you think that the government has betrayed you? To a large extent, yes. The Government of India was serious about giving us a separate state. But then there was the influence of billionaire Congress members of Parliament, who have large-scale real estate interests in Hyderabad. They are the ones who made the government change its mind and hence it backed out at the last minute. Former prime minister P V Narasimha Rao is back in the news with the All India Muslim Personal Law Board accusing him of being equally responsible for the demolition of the Babri Masjid in Ayodhya on December 6, 1992. The board says that Rao could never be forgiven for the demolition of the mosque. Dr S Q R Ilyas, convener, Committee on Babri Masjid of the All India Muslim Personal Law Board, told rediff.com’s Vicky Nanjappa about Rao’s role and also on what should be done to put to rest the entire controversy. What role, according to you, did Narasimha Rao play in the demolition of the Babri Masjid? The All India Muslim Personal Law Board is of the opinion that without the tactical help of people in the Union government at that point of time, the demolition would have not been possible at all. Narasimha Rao was the prime minister and had all the information regarding the demolition, despite which he did nothing to stop it. Is it something that you just realised or did you know it all along that the ruling government was aware of this plot? No, it is not something that we have just realised. In fact, we had known this all along. A couple of days before the demolition of the Babri Masjid, we had even met with Rao and expressed our fears to him regarding the same. He assured us that nothing would happen and there was nothing for us to worry. It could have been a failure of the intelligence also. Why blame Rao alone for this? I am not blaming him alone. There was no failure of intelligence. Rao had all information through the Intelligence Bureau. This fact has been indicated by the Liberhan Commission report too. I can say for a fact that the Union government then was equally responsible for this incident. Being the head of the state, Rao ignored the warnings. He was in a position to stop the act, but sadly that did not happen. Do you think that Rao had intentionally not acted despite having specific warnings? I would not say it was intentional. In fact at the moment I cannot say that he had not acted intentionally. However, it is on record that he did not act despite having all information and also absolute control over the situation. So do you think that the Union government at that time was the main culprit? No I don’t think so. We still maintain that it was the Bharatiya Janata Party, which was the main culprit. What about Atal Bihari Vajpayee? Vajpayee is also responsible for this incident. He was heading the BJP at that time. However, we would like to point out that there has been a flaw in the Liberhan Commission report. Despite naming him, he has not been issued with a notice. We demand that a notice be issued to him and he be called on to explain what he thought of the situation at that point of time. What is the demand of the board at this moment? The board has always and will continue to demand that Section 120 (B) of the Indian Penal Code (Conspiracy) be included in the chargesheet against those involved in the incident. We demand that those responsible for this incident, and who continue to walk free, be brought to book. In this case there is so much emphasis on the courts, which are seized off the matter. Why is that none of you are even bringing the judiciary into this issue? We demand that the cases against the accused be expedited in the various courts that are hearing the matter. The very fact that despite so many years these persons walk about freely, is an indication that the legal system is not working properly. What everyone tends to forget is the core issue. Bringing these persons to justice alone will not solve the problem. Do you agree with this? Yes I do. The core issue is the title suit which is still pending before the Allahabad high court. Once this issue is resolved, only then there will be a solution to the problem. What is the progress of the case? One of the judges in the bench has been transferred and the hearings have been postponed after that. There needs to be a day-to-day hearing of the matter so that the matter is closed as soon as possible. A new bench needs to be constituted immediately, and despite several demands, it has not been done as yet. Prior to one of the judges on the bench getting transferred, we were hopeful that that the matter would have ended soon. What do you expect from the BJP leadership in such a situation? The BJP has no role to play now. It is the Union government which should act upon the report, and also ensure that the case is settled immediately. Everything depends on how the Union government deals with the matter, and even the state government has no role to play in this anymore. When do you think this entire issue will end? The day the people responsible for the shameful act of demolishing Babri Masjid are punished and the matter pertaining to the title suit is disposed off. The leak and tabling of Liberhan Commission report has created a big turmoil in the country. While most of the sides have been shouting hoarse about their own position on the issue, not much has been talked about the future solution of this vexed problem. We recall that the mosque built by Mir Baqui around five centuries ago has been deliberately dragged into the controversy. At the time of Independence it was a mosque, no political party had claimed anything to the contrary. As per the understanding in the constitution, the status of 1947 was to be maintained in cases of places of worship. The installation of Ram lalla idols by deceit in midnight of 22nd Jan 1949 sowed the seeds of controversy. Later in 1975 the dispute between two local groups was taken up by Vishwa Hindu Parishad and in 1989, BJP decided to make a political issue out of it. The tragic demolition and the making of makeshift Ram temple there have added new dimensions to the issue. It is around this issue that Hindu and Muslim communalists raised the emotional pitch and the tragedies which followed, the demolition, the post demolition communal violence and communalization, polarization of society along religious lines are too well known by now. The court case regarding the same is dragging from last several years without any outcome so far. Where do we go from here? Do we let this sore to continue on the body politic of the nation? This may act as the trouble spot for the future. It is time that we look at all the aspects of the issue and try to bring a peaceful solution to the issue. The first step in the issue is to realize that it the communal forces from both communities which have claimed that they represent the community and so they will decide on behalf of Hindus or Muslims respectively. The fact of the matter and, this has been confirmed by Liberhan Commission report, is that these communal groups neither represent the community nor reflect the opinion the communities as a whole. It is imperative that we look forward to the liberal sections, leadership from these communities to come forward and talk in the language of reconciliation. The liberal sections are those who have so far been ignored, but they are the one’s who have talked of peace and accommodation. The election results have also shown that those claiming to represent the aspirations of a particular community have been routed in popular elections. The elected representatives of the area have a major role to play in bringing the consensus. We cannot undo the past but we can definitely chart a peaceful path for future. The peaceful talks between these sections along with the local people of Ayodhya are the central core for solution. The people of Ayodhya have also been the victims of the demolition and other offshoots of the dispute. What they think should be done at the site has to be taken seriously. They have to be taken on board along with the liberal leadership of the communities. Today the most amicable solution has to veer around respecting Ram and Allah both. Both temple and mosque can be accommodated in the area, with equal importance and respect. Along with temple and mosque in the same spot we need to bring up a museum dedicated to the great tradition of Ayodhya. Ayodhya has not only been popular for Lord Ram, but it had also been a place for Buddhists and also people of other faith as well. It has been a sort of ‘No War zone’ (A- no, Yudhya-War, Ayodhya- A no war zone), and that spirit has to be cultivated all around. The emotive and divisive appeals need to be rejected by the nation as a whole. In that light the museum-memorial has to be the one of syncretic traditions, of saints who were followed by Muslims and Hindus both, of Sufis who again were respected by Hindus and Muslims both. While the history has been made to degenerate into hoarse shouting, a cool reasoned archeological based understanding should help us to go further. The negotiations between the communities have to be encouraged to the last. The second line of action has to relate to the court verdict. The court verdict should be final for all of us. The formulation that faith will decide the birth place of the Lord has no place in a society governed by law and reason. The community leaders must give undertaking to respect the court verdict and act accordingly. Those not having faith in the courts cant be the part of the process of reconciliation as reconciliation has to be done in the framework of Indian Constitution. We have invested too much in this issue and it is time that not only this but even other such issues are not given any importance to ensure that the country, nation, can focus on the issues related to bread, butter shelter, employment and health. The decision to split Andhra Pradesh may have caused thousands to celebrate across Hyderabad, but it has made a considerable number of residents of the state capital apprehensive about their future. While original inhabitants of Telangana region remain unaffected by the developments, it is the ‘settlers’ (as they are called in Hyderabad) from Rayalseema and Andhra, who are worried. Marataza Khan, a taxi driver who originally hails from the old city of Hyderabad, says that people from outside Telangana need not worry. “We have accepted the people of Rayalseema and Andhra and we don’t have any intentions of creating problems for them”. But he adds, “Some people from other belts, who have deprived us of our rights and blocked the development of Telangana, will face problems. There are several instances when people from the Rayalseema belt have grabbed land belonging to the people of this region. These people will face problems”. Venaktesh, who runs a small tea stall near the Charminar, hails from Warrangal and fears that he may be forced to go back to his town. “I keep hearing that people from the non-Telangana belt will be asked to move out. I have been living in Hyderabad since the last seven years and it will be unfortunate if I have to leave make a start all over again”. But the issue of Hyderabad becoming a part of Telangana has worried real estate developers the most. “Hyderabad has grown considerably in the past couple of years. Thanks to the IT boom, the prices of real estate have shot up. Since today orning, I have been flooded with calls regarding the fate of investments in the city. I think it would be in the best interest of the investors if Hyderabad is made a Union Territory and the capital of both Telangana and Andhra Pradesh,” says realtor Suman Reddy. Reddy points out that the issue is not merely a sentimental one; the financial aspect of such a decision also had to be considered. “I don’t see any sort of assurance being given by any of the Telangana leaders to the investors about their safety. This will definitely scare them away,” predicts Reddy. Shabir, an auto drive, wants Hyderabad to remain a part of Andhra Pradesh. “Why should they take it away now? People from across the state have contributed towards making Hyderabad what it is today. The livelihoods of so many, including people from non-Telangana regions, are dependant on this state and they should not be deprived of that,” he says. Dismissing the assurances by Telangana supporters, he says, “It will be another state for us. I think that the idea of having a common capital would be the best thing and it would be in the interest of people from all three regions”. Nalini, who works at a medical store, has a completely different take on the entire issue. She believes that in spite of the Centre’s promise, a new Telangana state will never be formed and the issue will die down soon. “If Hyderabad is taken away from Andhra, I will move out. I will prefer to live in my own state, where I have equal rights and am not looked upon as an outsider,” she explains. The Muslim community in the old city, which has been openly supporting the demand for a separate Telangana, stress that Hyderabad should be made the capital of the new state. “We are ready to continue with our protests until our dream is achieved. But there is no reason for the businessmen to worry; we have no intentions of chasing them out of the state. There is no need for anyone to leave Hyderabad at least,” says Lateed Mohammad Khan, who has been leading the minority community over this issue. Khan claims that the government had dithered so long over granting permission for a separate state due to immense pressure from the land mafia. “Some elements of the land mafia have even demanded Rs 2 lakh crore compensation from the government, fearing that they will have to move out of Hyderabad now,” he says. The five-decade-long agitation for a separate Telangana state may be bearing fruit with the announcement on Wednesday night by Union Home Minister P Chidambaram [ Images ] that the process for forming the new state would begin. Dr K Jayashankar, former vice-chancellor of Kakatiya University, Warangal, has been in the thick of the agitation for several years now. He has written several articles and books on why Telangana is important. Fondly known as the father (pita maha) of the movement, Dr Jayashankar says that the government has made a commitment and he hoped they would stick to it. In this interview with rediff.com’s Vicky Nanjappa, Dr Jayashankar explains why it is important that Hyderabad becomes the capital of the new state and why the demand to make it a Union Territory should be dropped immediately. What are your first reactions to the decision of the Union government? Obviously I am happy. It is a long-standing dream and it seems to be coming true today. I would not call it the end of the matter, but it is the beginning. The process has commenced and there is still some time to go before it becomes a complete reality. At any point do you feel that the Union government may backtrack on its decision? Do you think this was a tactic to ease the tension prevailing in the state? It is clear that they have made a commitment. The process is underway and we trust it. This has been a long struggle and we hope that the government will not backtrack. When the home minister of the country makes an announcement, we trust it. What if the government goes back on its decision? The ball is now in the court of the AP government which does not seem too enthusiastic about the formation of Telangana. As I said earlier, we trust the decision of the Union government. If at any point of time, they backtrack we will not take it lying down. We have plans to ensure that the government does not backtrack. There have been violent protests in the past. What makes this one unique and why do you think the government gave in this time? Yes, there has been a long history to this movement. Moreover if you notice this time around the movement was more people based. The political parties had a very small role to play. There were students and the common man who had come out in the streets and made the demand. I would call this the final struggle and the unique thing was that everyone was in the movement this time. This made the difference. It was in this backdrop that the government decided to take action and give in to our demands. You have written an extensive paper on this issue. 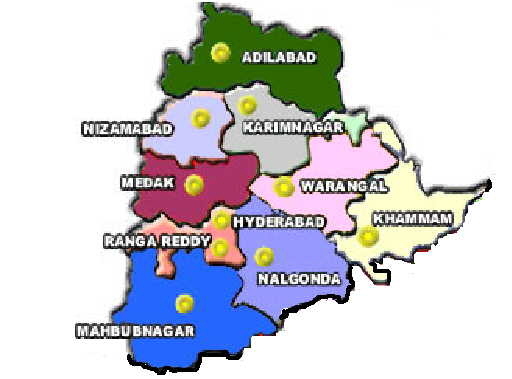 What according to you are the main grievances of the people of Telangana? Irrigation is one of the major grievances. A raw deal was meted out to the region regarding the allocation and utilisation of river waters. Telangana is encircled by two major rivers of south India [ Images ] — Krishna and Godavari. In Andhra Pradesh, 68.5 percent of the catchment area of Krishna and 69 percent catchment area of Godavari are in the Telangana region. In addition, most of the tributaries of these rivers traverse its length and breadth. If the waters of these rivers are properly utilised, almost every acre of cultivable land available in Telangana could be provided with assured irrigation facilities and every village could be provided with assured drinking water facilities. But Telangana has been denied its rightful share in the river waters by successive governments over the last four and a half decades, irrespective of the political parties and leaders in power. Education is another issue. At the time of formation of Andhra Pradesh it was assured that disparities in the levels of development in different regions of the state, including in education, would be removed in five to ten years time. But even after 47 years, the literacy rate in Telangana continues to be lowest in the state. Industries is another aspect. No major industry worth its name has been setup in any of the districts of Telangana region as compared to the establishment of several industries in Visakhapatnam [ Images ], Vijayawada, Kakinada, Nellore, Tirupati, and Cuddapah. Quite a few major industries established in the Telangana region during the period of much maligned Nizam are being closed one after the other by successive governments. Also there are about 15 lakh jobs in the government and government-funded offices and establishments in the state. Based on the size of population at least 40 percent of these jobs (6 lakh), should have gone to the job seekers from Telangana. But the total number of jobs now occupied by them is less than 3 lakh. There are more than 5,000 employees in the state’s secretariat. Out of them not even 10 percent belong to the Telangana region. There are more than 130 posts of heads of departments but only 7 or 8 are from Telangana. What happens to Hyderabad which is the bone of contention? Are you willing to give up Hyderabad and form Telangana without it? Why should we give up Hyderabad? Hyderabad is a part of Telangana and I think that there should be no debate whatsoever. I would like to ask as to why in the first place does anyone even bother debating this aspect? Even if you look at it geographically, the demand by the people of Andhra and Rayalseema is ridiculous. They have no access to Hyderabad. It is an integral part of Telangana and should remain that way. What if you are asked to make a compromise on Hyderabad? There is no question of compromise on this issue. Why is Hyderabad becoming such a debating point? This is entirely created. Everyone knows that once Telangana is formed, it would have Hyderabad as its capital. A lot of people in power want to retain Hyderabad in Andhra Pradesh due to a comfort zone that they are in. Most of these people are involved with realtors and they will benefit. There are huge business interests in Hyderabad. What about those persons? What do they do? Who is preventing business people from coming into Hyderabad or who is forcing them to leave? It will continue the way it is and people can do business freely. Yes there are some businessmen who are opposing Hyderabad going away from Andhra Pradesh. I want to ask these businessmen one question. Have you come here to do business or rule over us? We are not asking them to leave the city. They are like tenants and we will take care of them. What do you have to say about the split in the Congress over this issue. Nearly 50 MLAs have already resigned? These MLAs have always opposed the formation of the state for their vested interests. If they are resigning and the party is splitting then it is their headache. These are the persons who have ensured the delay and Telangana had always faced a roadblock due to resistance from other regions. It is time they realise the misery of the people and give us our state. What will happen if the government refuses to part with Hyderabad? That Telangana Rashtriya Samithi and its chief Chandrasekhara Rao have spearheaded the statehood movement is well known. But there is another section that has taken the state by storm for Telangana: the students’ movement. The violence unleashed by the students was a major worry for the state government even as the TRS chief continued with his fast. Rama Rao, senior member of the Joint Action Committee who led the students’ protest in Hyderabad, says it is no longer a political movement, but the people’s movement. “We are happy that the Centre has agreed to the demand, but we want to see the process going through completely. In an interview to Vicky Nanjappa, Rao speaks about the movement and Telangana’s future. Do you think this is a victory or just a tactic to quell the protests? I think it is a victory. The first part of the battle has been won. However, we would like to see the process going through. Our demand was to grant us a separate state and there are certain procedures that need to be followed. We will keep a close watch on the government and how they treat the situation. The agitation turned violent. Was it necessary? All we had was a demand. From day one, I have told students that we should protest in a peaceful manner. This is a democracy and we have the right to protest peacefully. We did not expect the Andhra Pradesh government to get aggressive. In fact, the police force has terrorized the people. Was it a mistake on our part to make a valid demand? Moreover, when KCR took up the fast, the police tried using force to curb him. This was not acceptable to many of us and hence we stepped up the ante. However we have always made our demands through peaceful means. It was the police which was acting violent. Could you elaborate on the police atrocities? There are around 25,000 police personnel in the city. What is the government trying to prove? They have been brutal with us. They have resorted to every possible means of violence. Thousands of students have been arrested for staging protest. What shocked us the most is that the police men manhandled some of our female students. This was uncalled for. We have approached the State Human Rights Commission. Moreover, all the universities in the Telangana region have been captured by the police. Why did the protest intensify to such an extent? This is not the first time that the students are protesting. The struggle has been on for the past 50 years. We realized that the government was just not serious about the demands and was taking this issue for granted. During earlier agitations, at least 400 students were killed. Do you think we should let their efforts go waste? What about political parties. This is after all a decision that needs to be made by politicians. Till now, the parties were saying that they would form Telangana. We realized that they were not serious about it. The time had started to exceed and we began to believe that unless and until we raised our voice, this issue would never be resolved. Hence we decided to come out in the streets and protest. It was no longer a political movement. It has become a peoples’ movement. Despite empty promises, the people still voted for the Congress. What is your take? Yes, we realised that. We were assured, but that promise was never fulfilled. What we realized is that the Congress did not give any importance to the public movement and mandate. That is when we decided to take this fight to the streets and by ourselves without any political help. We had no other way to pressurize the government. If the government backtracks once again, what would you do? We will continue to protest, but will ensure that it is a peaceful one. We realize that only non-violence will help our cause. Don’t you think that the students over-reacted by committing suicide? No. It is very unfair on your part to say that. The students were genuinely concerned and they have been in this state since a long time. It was not done to stage-manage some drama, but their feelings were genuine and we will not let their sacrifice go waste. Moreover, we also realized that the government was targeting students unnecessarily. So, who should get the credit for the statehood? The people of Telangana and Chandrasekhara Rao. This is not a victory for the Congress. I know for a fact that they have tried to ensure that KCR and the people don’t get credit for this movement. Hyderabad is Telangana and Telangana is Hyderabad. There is no compromise on that. We don’t have any conditions. All we want is Telangana with Hyderabad as its capital. Why do you think that the Congress was dilly-dallying on this issue? If Telangana had not seen the light of the day, it was only because of the people of Rayalaseema and the Congress. They have established businesses and have large tracts of land in these areas and at no cost did they want to compromise on their business interest. Do you think this dream would have become a reality had YSR been alive? With due respect to the departed leader, I would have to say that he was one of the main reasons for the delay. He did everything to scuttle the movement and also target some of the key leaders. He gave them important posts so that they would soften their stance. Will Telangana be a prosperous state? Rediff.com’s Vicky Nanjappa speaks to Author Anuj Dhar about his latest book on Subhash Chandra Bose and uncovers some of the CIA’s long-lost records, along the way. For the first time, the Central Intelligence Agency has declassified and released to an India n citizen, two very important records — pertaining to the death of freedom fighter and nationalist icon Subhash Chandra Bose and also the situation in India at the time of Partition. The documents were made available to Dhar, author of the book, Back from Dead: Inside the Subhas Bose Mystery, in New Delhi.”If the CIA could declassifiy this information, what stopped our government from doing the same?” Dhar told rediff.com. Moreover the government has admitted to possessing reams of classified information of Bose. 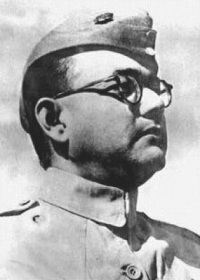 The Prime Minister’s Office lists 33 classified files on Bose, a Right to Information query filed by Dhar revealed. Dhar then filed an application under the US Freedom of Information Act and the Agency Release Panel considered his appeal and determined that the document that was initially denied in its entirety can now be released in part, with some information to remain protected from release on the basis of FOIA exemptions. Dhar says that the number of documents released is small, but it is a turning point to end the excessive official secrecy thats exists in India. “The government is sitting on a stockpile of classified information on such great personality and the manner in which the Indian government handled the Russian angle as was mentioned by the Justice Mukherjee Commision left a lot to be desired,” Dhar said.